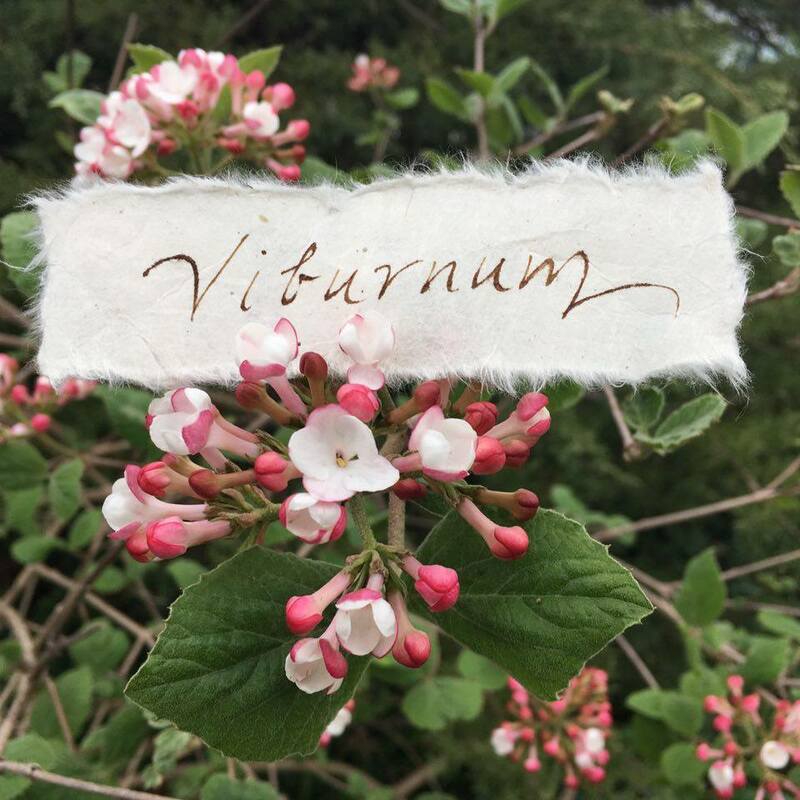 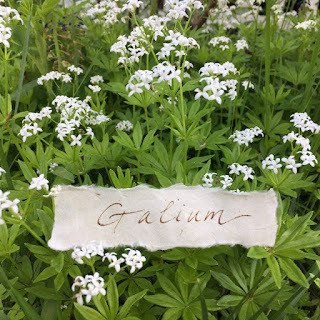 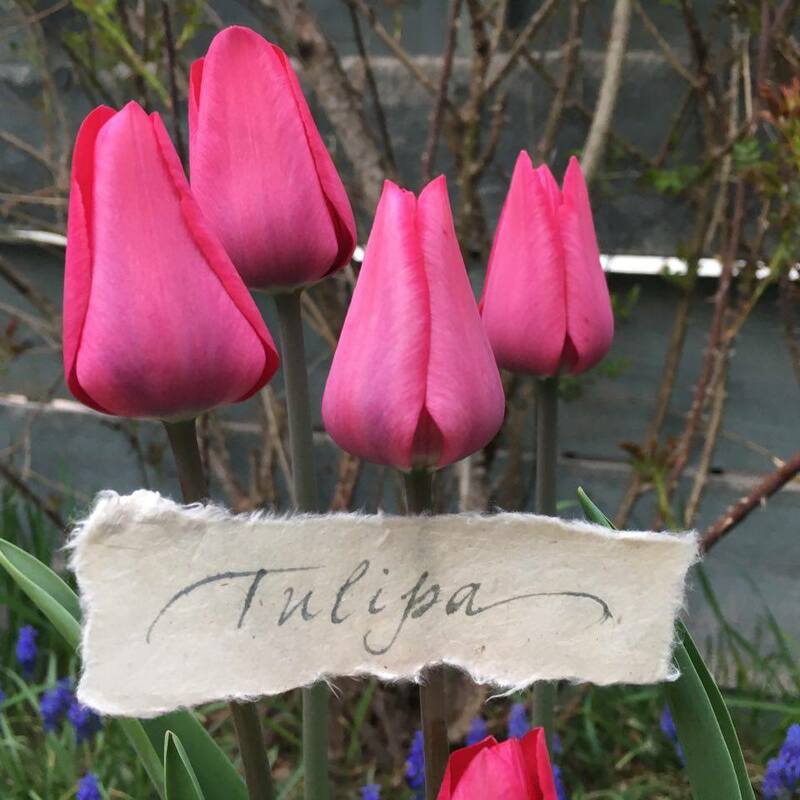 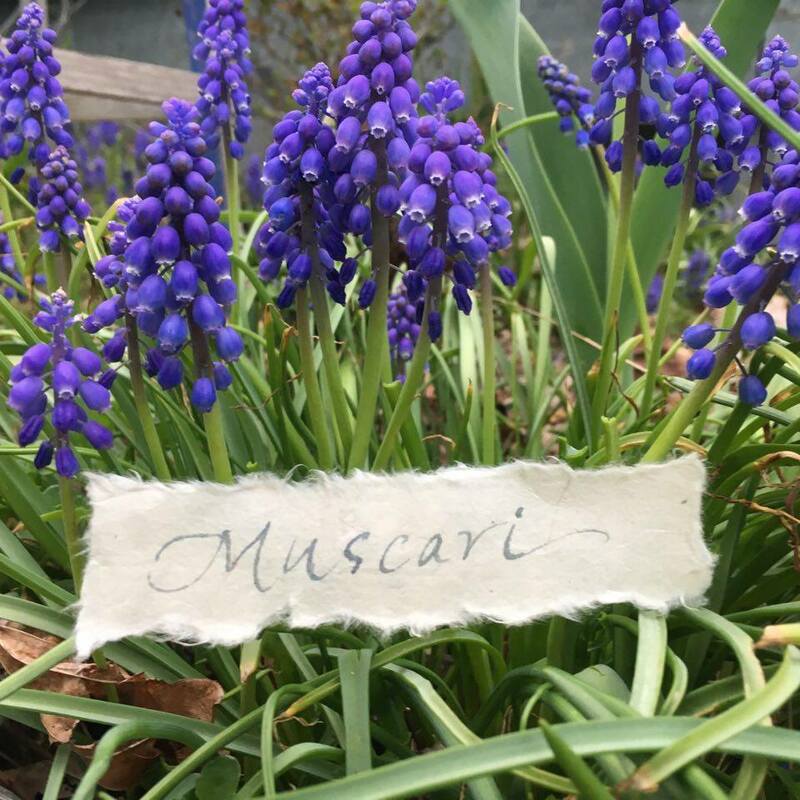 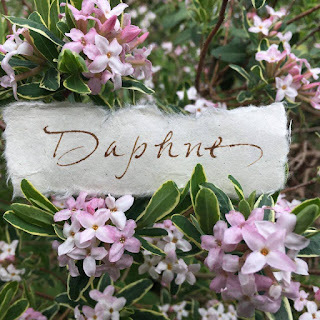 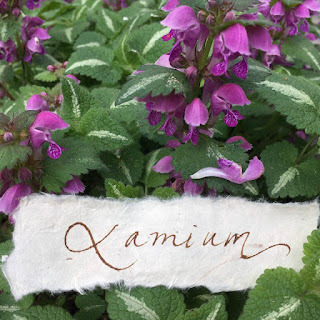 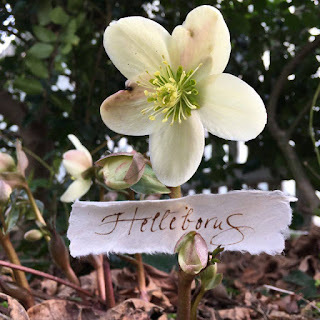 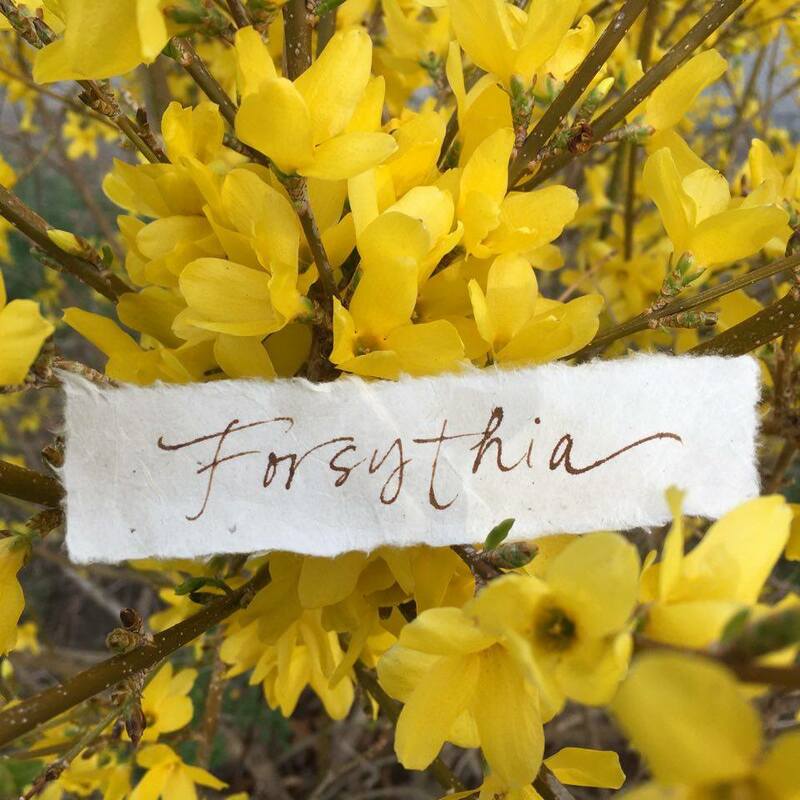 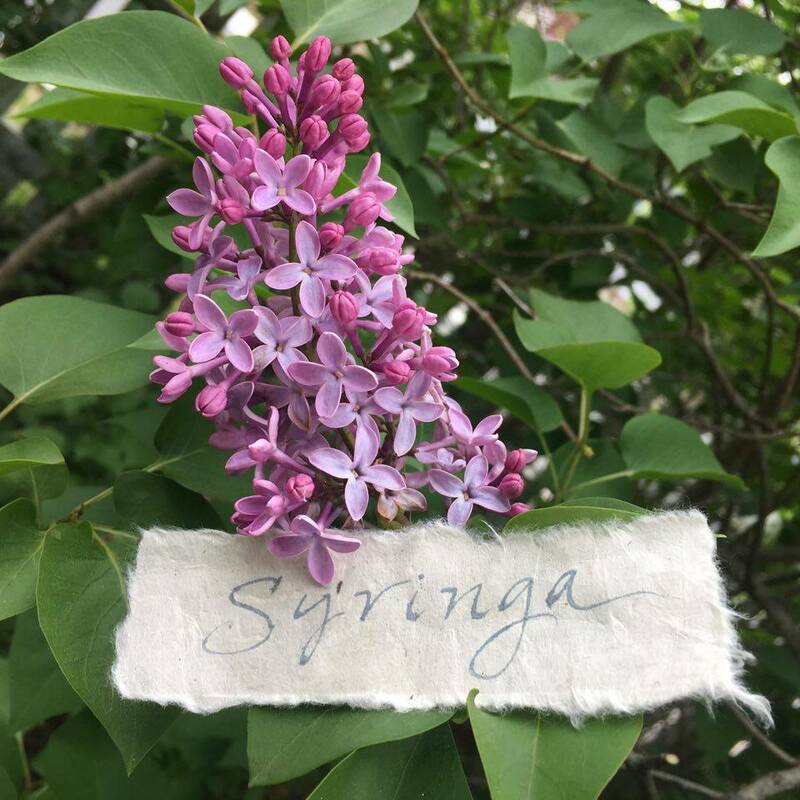 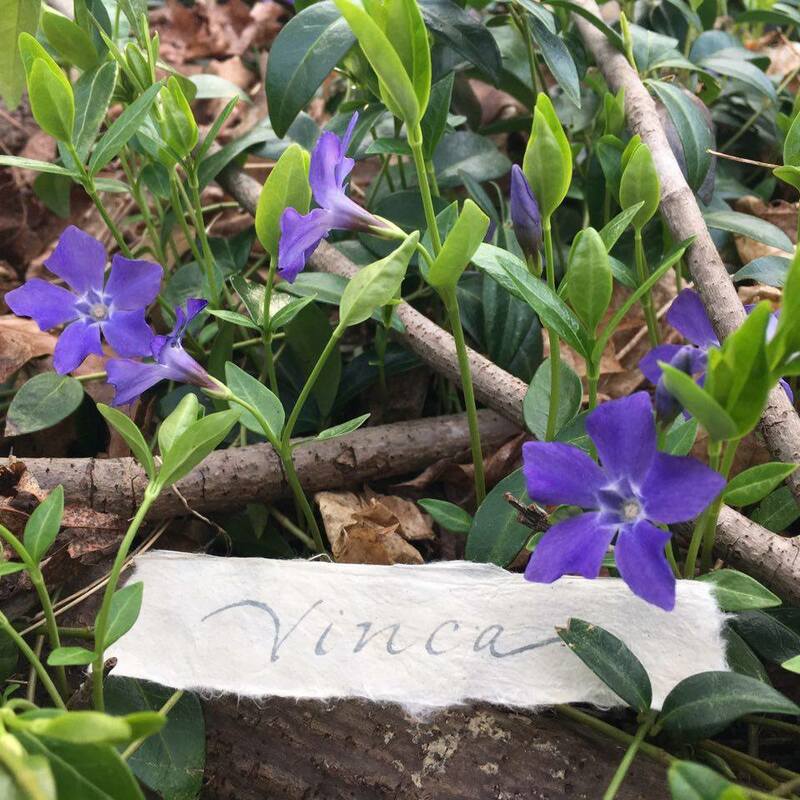 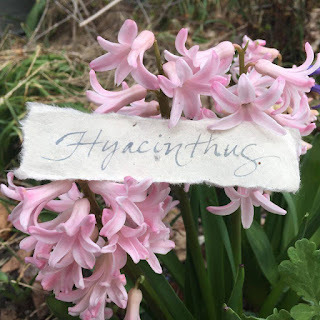 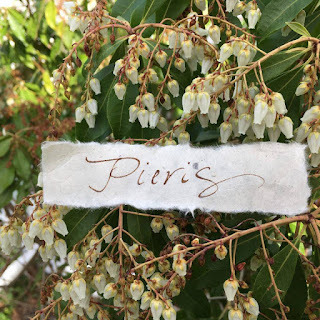 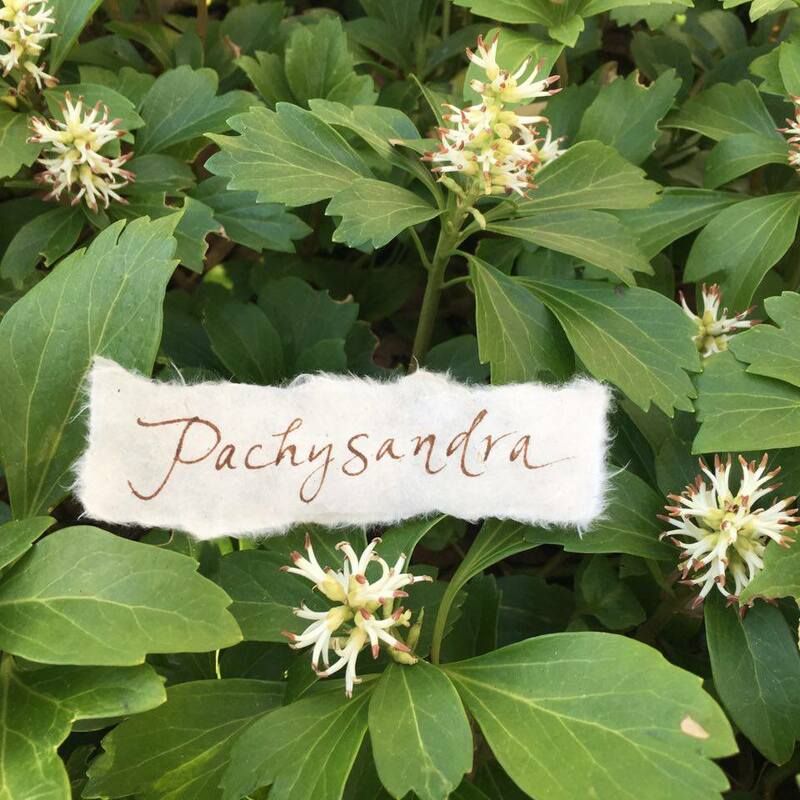 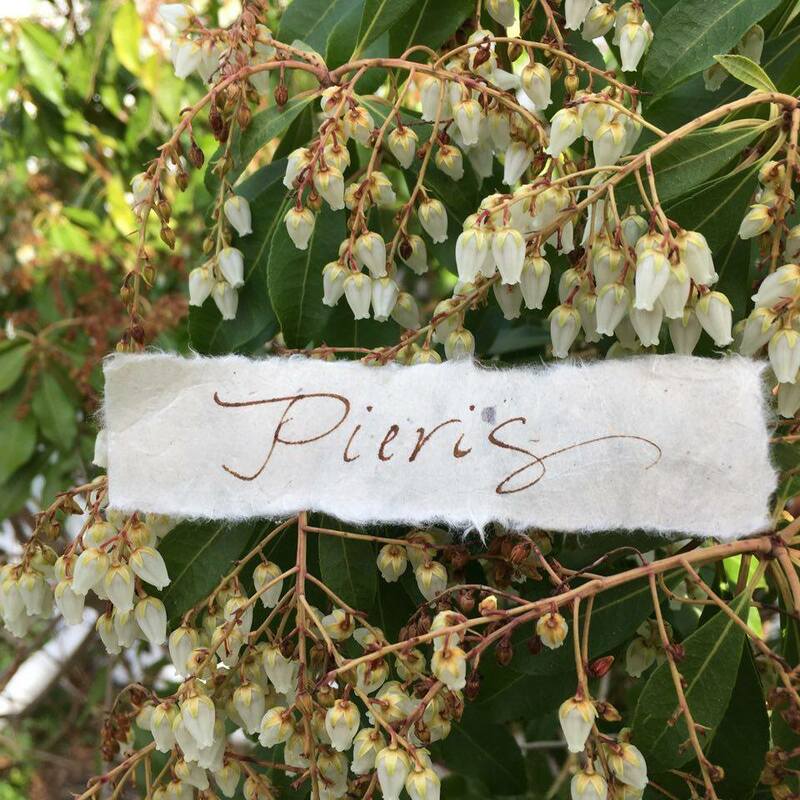 I'm enjoying my Naming the Garden project—writing Latin Genus names on a strip of paper and photographing them with the flower. I didn't want to use black ink. 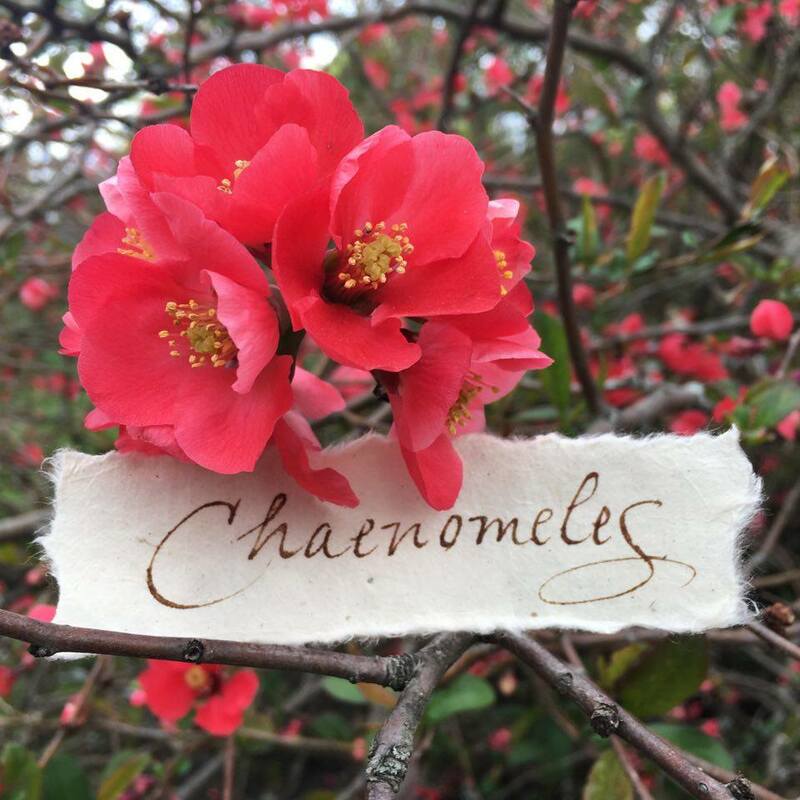 I thought about colors to match the flowers but that seemed too complicated. I decided to go with gray and brown—neutral, not so strong as black, and available in the studio. Here are some of the images. 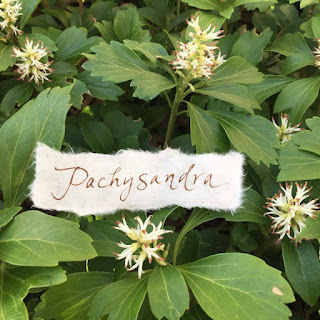 If you want to see them as I do them, follow me on instagram (susankapuscinskigaylord).